Make your own texts, wishes and names with these handy stencils. The size of each letter is 1/2" x 1/2". 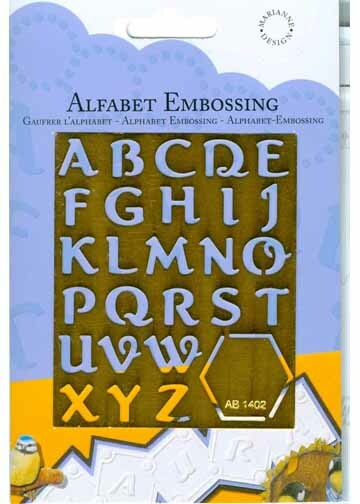 The stencil also has a small hexagon that can be embossed as a frame for each of the letters or used to create a corner.